I remembered when I was in high school, my sanctuary was always the library. I would go there to get away from the stressful world of high school and from the gossips that abound. The library was my haven. I would lose myself in the books that were ready to be borrowed. I finished the Nancy Drew series because of my high school library and it is also where I started reading novels. haha students days! my problem was the limited number of days that we're allowed to borrow a book especially nung college. 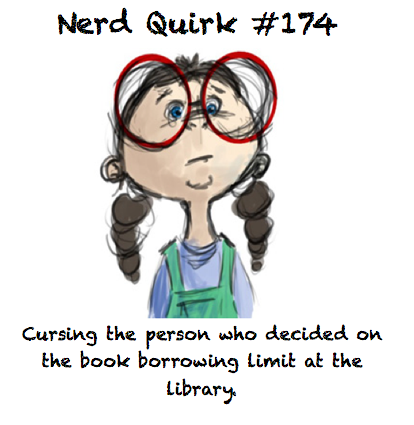 I had the same problem with Madie.. >.< I was once penalized for borrowing a book too long. Tinamad ako humiram nung HS kasi nagconcentrate ako sa book reports namin.haha. At iba yung borrowing rules. Pfft.